It might not be as sunny but it's just as, em, buzzy?! Spirits are still high and everyone seemed to make it through day one and returned back to the Old Sheriff Court for more rehearsing. As you will all know, our festival playwright is Peter Arnott. 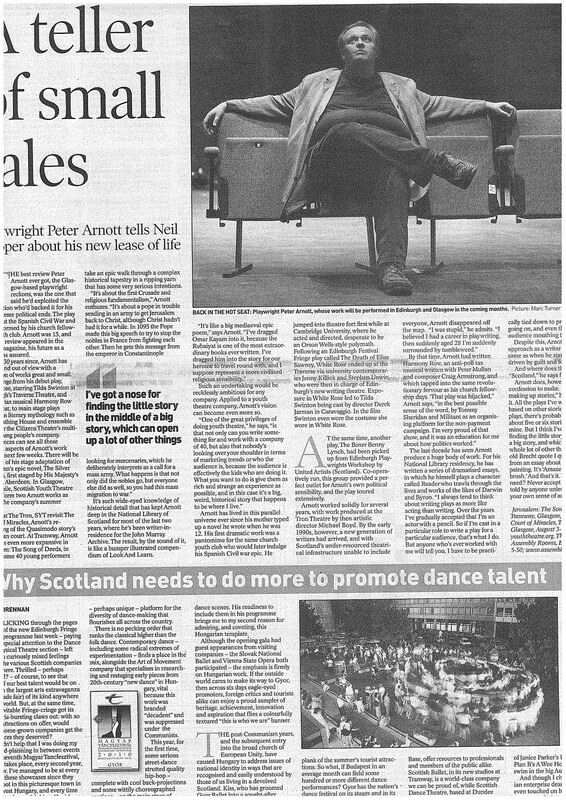 And today the Glasgow Herald featured an interview with him by Neil Cooper. Scottish Youth Theatre are name checked a few times here and there and the shows Jeruslem and Court Of Miracles are mentioned. 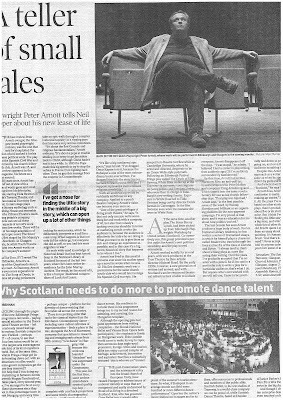 It's a really interestnig piece about Arnott's career and inspiration - apologies for the feeble scanning attempt. The image above is attempt no.7 of 7! I'll post the link when the article is added to the Herlad website. But for now, do what you can with the scan. Or, be savvy and go grab yourself a copy right this minute, there's not much of Tuesday left!